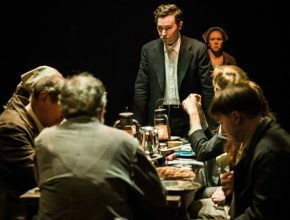 Twenty-two professional metro theater companies are eligible for the awards; seven went home with at least one honor. If you haven’t visited the West Midtown company recently, you might want to check back in. Artistic director Freddie Ashley & Co. are putting together seasons that are original, daring and different with purpose, and as good as almost anything onstage in Atlanta. Nan Barnett, Actor’s Express’ new executive director, is already on the job. Looking for something cultural to do this weekend and beyond? Here are Encore Atlanta’s recommendations. “Seminar,” opening May 15, 2013, features four aspiring writers who get the education of a lifetime when they sign up for a writing class under an egomaniacal world-famous author. Aurora Theatre opens its 2012-13 season on Aug. 2 with a nine-actor “Sweet Charity” directed by former Dad’s Garage ace Sean Daniels. The Lawrenceville theater often does some of the most exciting work in the metro area.